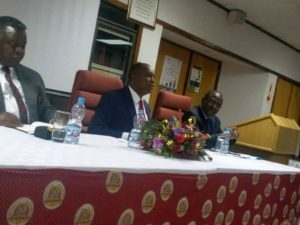 BLANTYRE-(MaraviPost)-The Reserve Bank of Malawi (RB) on Wednesday launched the 2019 to 2021 strategic plan following the twelve strategic objectives. The RBM governor Dr. Dalitso Kabambe says that in 2018 they managed to reach 9.2% average inflation with the target of 9.4 % average inflation and they managed to improve monetary policy in such away that the bank should achieve the target. Dr. Kabande said that their target in 2018 the bank increase the number of bank accounts and customers from 1,374,445 to 2,000,000 therefore their performance had the number of people with bank accounts have increased from 1 .3 million in January 2018 to 2.5 million as at 31 December 2018 against a target of 2 million. 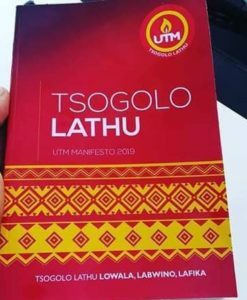 ” The bank successfully fuilfiled all the 2018 targets and we have managed to achieve the targets”.he said . He continued saying that the bank completed the automation of Malawi stock exchange ( MSE) with the introduction of two new modern systems namely the automated trading system (ATS) and the central securities depository (CSD) which was launched on 7 the June 2018. He finally said that the bank have also launched an app to do with the currency which is in a digital form and it enables people to be able to download the app and learn as well as understanding the various security features of the various notes and use those if they face with counterfeit currency to distinguish between counterfeit currency and proper currency with this the bank will be able to reduce the counterfeit currency.